In 2005 Julian Elliott contributed to a television programme, The Dyslexia Myth, that highlighted the many misuses and misunderstandings of the dyslexia construct and the corresponding failure of professional services to cater for all who encounter reading difficulties. In the subsequent fallout he was repeatedly accused of undermining efforts to help children with dyslexia and setting back years of hard-fought-for advances. Indeed, in the programme itself he was criticised by a number of teachers on the grounds that parents who have fought for their children for years will be rendered puzzled and distraught by such arguments. Here Julian Elliott and his collaborator Elena Grigorenko ask, What is understood by the term dyslexia? and Is there really any value in the construct? To what extent is it professionally acceptable for psychologists to use diagnostic labels that they know to be scientifically questionable on the grounds that discontinuing their use would reduce the salience of very real difficulties that many people experience, and undermine the influence of lobby groups in highlighting the need for action? In essence, this is a key question that has occupied our thinking since The Dyslexia Myth was broadcast in 2005. In conversations and debates since this time, many psychologists have readily acknowledged that, in their opinion, the term dyslexia is unscientific and conceptually problematic, yet have often added the rider that maintaining the use of the label is necessary in order to highlight the severity and debilitating nature of developmental reading difficulty and gain public support. Many have justified their use of the term dyslexia by reference to the positive, often affirming, effects that the label can offer to individual children and their families. Where there may have been doubt about the reasons for their academic struggles, the diagnosis can provide relief that the child is not cognitively weak, and this can result in optimism for the future. For some professionals, scientific questions about the use of the label, misunderstandings about the nature of the difficulty and its relationship to intelligence, and the misplaced belief that there are evidence-based forms of treatment that follow on from the diagnosis, are secondary to creating a greater sense of well-being on the part of the individual and acquiring additional resources to maximise the impact of intervention. These issues have informed the conclusions of our book, The Dyslexia Debate. Its production has involved an examination of current knowledge of dyslexia, in psychology, neuroscience, genetics, education, and social policy. In the light of current knowledge in these fields we have subsequently considered the implications for clinical and educational practice. While recognising the concerns about losing such a powerful and, for many, desirable label, the book concludes by arguing for an end to its use and calls for a correspondingly greater focus upon identifying and addressing each individual’s particular difficulties in ways that tie into what we know to be the best forms of practice. …to label children as dyslexic because they’re confused by poor teaching methods is wicked… The sooner it is consigned to the same dustbin of history, the better. The reality is that complex reading problems clearly have biological bases and cannot be ascribed merely to inefficient classroom practice. Of course, environmental factors can be influential in maximising or limiting a child’s progress (for example, after the cessation of the ‘Reading Wars’, we now recognise the importance of structured phonics techniques for those with potential reading difficulties, rather than the primary use of whole-language approaches). For many years, dyslexia was a term used to differentiate between two groups of poor readers. Those with dyslexia were considered to be poor readers with high IQs. In contrast, so-called, ‘garden variety’ poor readers were those where there appeared to be no discrepancy between their IQ and reading ability. The power of this conception lay in the affirming message that the person with dyslexia was of high intellectual ability, and the application of the label was able to counter often humiliating and hurtful experiences where some poor readers were treated in ways that were demeaning and failed to acknowledge their true cognitive abilities. However, a raft of research studies (see Elliott and Grigorenko, 2014, pp.22–26, for detailed discussion) demonstrated that this distinction was not meaningful in terms of differentiation, treatment or prognosis, and the difficulties that were encountered by poor decoders applied across the full range of intellectual ability. This should be contrasted with reading comprehension difficulties, however, where a relationship with measured IQ is clearer (Vellutino et al., 2004), and cognitive tests may help to shed light upon the specific nature of a child’s higher-order reading comprehension difficulties involving such processes as reasoning, inference and logical deduction (Christopher et al., 2012). While the lack of relationship between decoding difficulties and IQ is readily accepted by the field, and is reflected by the official position of organisations such as the British Dyslexia Association and the International Dyslexia Association, it is discomforting that many clinicians continue to use the discredited discrepancy model (for review, see O’Donnell & Miller, 2011; Stanovich, 2005). Of course, such a discrepancy-based label is highly desired by parents and there will be few complaints when it is applied, largely because it helps to undermine any suggestion that the poor reader is lacking intellectually. For those who follow the details of the argument and the accumulation of the relevant data, however, agreeing on a new, and meaningful, explanatory role for the dyslexia construct has proven difficult (Wadlington & Wadlington, 2005). In line with conceptions of the construct as essentially dimensional, rather than categorical (despite its continuing use as a categorical label – see confusing messages concerning this, for example, in the 2009 Rose Report), it is used by some to describe all those who encounter difficulties in reading (decoding) text. For many, it can be used interchangeably with terms such as reading disability or specific reading difficulties. Some suggest that ‘dyslexia represents the lower end of a normal distribution of word reading ability’ (Peterson & Pennington, 2012, p.1997), although where the cut-off should be applied is unclear (with prevalence estimates ranging from 5 to 20 per cent). However, if dyslexia is to be used to describe all those who struggle with decoding, this, at a stroke, removes any need for a clinical diagnosis, with all the attendant beliefs and expectations that it will point to a particular form of targeted intervention. For others, dyslexia represents far more than merely reading problems, encompassing a wide variety of linguistic, self-regulatory and adaptive skills that impact upon daily living and social and emotional functioning. Some contend that individuals with dyslexia are overrepresented in the criminal justice system (Dyslexia Action, 2005). Others suggest that many individuals with dyslexia demonstrate creative gifts that often mark them out for success in business and life generally (Davis, 1997). In reality, the success of high-performing adults with dyslexia is unlikely to be a function of particular cognitive factors. In a recent study (Lockiewicz et al., 2013), for example, superior creative and visuospatial abilities were not found in a sample of university students and graduates with a diagnosis of dyslexia. Rather, it would seem that the outstanding success described in anecdotal reports of high-achieving people with reading disabilities is more likely to depend upon particular personality and motivational factors. These and some of the many other differing ways that the construct has been conceptualised are outlined in the box opposite. We analyse the weaknesses of these differing perspectives in some depth in our book, and the key conclusion is that it is has proven impossible to distinguish an identifiable dyslexic subgroup in a coherent and consistent fashion that is acceptable to the majority of the scientific and professional community. 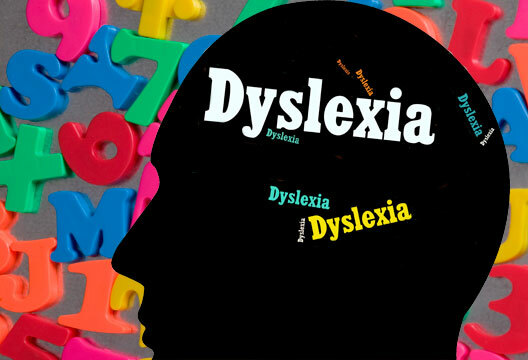 For many, the term dyslexia describes a biological condition that can be contrasted with environmental explanations for an individual’s reading problems. It is this biological origin that has often been used to legitimise the validity of the label when it has been challenged (e.g. Nicolson, 2005). Yet, the knowledge that has accumulated in neuroscience and genetics, if anything, indicates the similarity of the aetiological bases of reading difficulties that cannot be attributed to poor schooling, however these difficulties are referred to (specific reading disability, developmental dyslexia or poor reading). Moreover, the relationship between the child’s biological potential and the influence of their particular environment is highly complex and not realistically unpicked by means of current clinical procedures. At the current time it is impossible to separate poor readers into clear causal groups based upon biological phenomena – there are no established biomarkers, either genetic or brain-based, that can currently be used to make such a distinction. Moving from group average differences that are typically portrayed in the colourful images of brain function to individualised assessment represents a major challenge for such approaches. While individual profiling on the basis of genetics and neuroimaging may be a future possibility – particularly if this is combined with behavioural indicators and environmental measures of an individual’s learning (Black & Hoeft, 2012) – it should be borne in mind that the likely costs will be prohibitive for some time. Even more problematic is the use of such approaches to inform intervention. While there is promise for the future (Hoeft et al., 2011), we should seek to avoid overblown hype and claims (Bishop, 2013; Turner, 2012) and accept that we are a long way from achieving a neuroscience that can inform pedagogic responses in line with individual differences (Grant, 2012). It is now understood that complex developmental difficulties such as reading disability are best considered as heterogeneous conditions influenced, but not determined, by multiple genetic and environmental risk factors (Petrill et al., 2010; Willcutt et al., 2010). Findings such as those by Jednoróg et al. (2012) that socio-economic status seemingly has an influence upon the structure of the brain, and that heritability declines linearly in relation to lower levels of parental education (Friend et al., 2008; Rosenberg et al., 2012), have highlighted the current impossibility of meaningfully identifying a biologically based dyslexic subgroup within a larger pool of poor decoders. Most researchers and clinicians have emphasised sensory, cognitive and motor processes as underlying markers of dyslexia. However, despite extensive research over many decades we continue to have only rudimentary understandings, and even less consensus, about causal mechanisms. Certainly, the general consensus of researchers, even a decade ago, that the basis of dyslexia was linguistic and not visual has been challenged by findings from increasingly sophisticated studies of visual attentional processes (Bosse et al., 2007; Collis et al., 2013; Dehaene, 2009; Franceschini et al., 2012; Hari & Renvall, 2001; Lallier et al., 2010). While phonological processes appear to be particularly important, there is continued uncertainty as to the precise nature, operation and role of these in respect of reading difficulty (Boets et al., 2013; Ramus & Szenkovits, 2008). Furthermore, it is now increasingly recognised that explanations involving a single homogeneous deficit are inadequate (Snowling & Hulme, 2012) and neither phonological weakness, nor the other myriad explanatory factors (e.g. rapid naming or working memory), can account for the difficulties of all of those with reading disability. Equally problematic have been attempts to match individuals to any so-called dyslexic profile (Stuebing et al., 2012). In line with the operation of the medical model, there exists a strong belief that identification of weak or deficient cognitive processes underlying dyslexia will lead to appropriately tailored programmes of intervention. However, with the exception of phonological interventions for young children – and even here some doubts have been expressed about their long-term effectiveness (Olson, 2011) – the evidence from existing research on intervention has shown that such faith is misplaced and potentially unhelpful. This is not a new finding, however. Indeed, Vellutino and colleagues stated a decade ago (2004) that clinicians are best advised not to employ psychometric measures in an attempt to identify underlying biological or cognitive causes for the purposes of categorical labelling, but instead, should undertake assessments that can inform individually tailored educational interventions. Given that the construct of dyslexia is scientifically problematic in several respects, it is perhaps surprising that the label has resisted repeated challenges to its use. Of course this is to ignore the many powerful functions that it serves. It cannot be denied that the label often helps in gaining access to additional resources or support (Macdonald, 2009). For some, its association with higher levels of intelligence reduces the shame and humiliation that are often experienced by those who struggle to learn to read (Burden, 2008) and the sense of responsibility, even guilt, that can be felt by their parents and teachers (Ho, 2004; Warnke et al., 2012). Some parents believe that their child will be treated more sympathetically by teachers, and expectations of their intellectual and academic potential will be higher. And, as noted, above, many erroneously believe that a diagnosis of dyslexia can inform appropriately tailored forms of intervention that somehow go beyond existing approaches used with poor decoders. There is a vast industry geared to providing assessments, diagnoses and treatments for dyslexia, and some teachers have expressed concern about possible recriminations should a child’s dyslexia be seemingly ‘missed’, with attendant anxiety about the potential threat of litigation (Senco Forum, 2005). Such factors are of less concern where the term dyslexia is employed to describe all children who struggle to learn to read – but then the term would offer little additional value (Stanovich, 1994). Nevertheless, such a scenario has its attractions: in particular, expensive diagnostic tests (typically more easily available to those with pre-existing social, economic and political advantage) would no longer be required to elicit a diagnosis. The use of the construct to describe poor decoders generally, while popular with many reading researchers would not be acceptable to many other researchers, clinicians and teachers who see the differential use of the label as beneficial. Additionally, some perceive such a definition as being either too inclusive or too exclusive. Those who consider individuals with dyslexia as representing a subgroup would eschew such a notion as it would no longer permit differentiation between dyslexic and other poor readers. Equally, those who see dyslexia as comprising far more than (merely)a reading difficulty would resist what they would consider to be a narrowing of the construct’s explanatory field. In our book, we call for an end to the use of the dyslexia label to be replaced by more detailed descriptors of specific literacy skills and deficits underpinning reading difficulty (within this latter term, we contrast reading accuracy, reading fluency, reading comprehension, spelling and writing). We recognise that poor readers often suffer from misunderstandings about their true intellectual and educational potential but argue that such fallacious understandings should be addressed directly, rather than side-stepped. In some situations, intellectual assessment may prove informative, but this would be for the purposes of understanding the individual’s strengths and weaknesses (e.g. to ensure that teachers provide appropriate levels of cognitive challenge) rather than for some form of diagnostic bifurcation between dyslexic and ‘garden variety’ poor readers. We highlight the need for assessment for intervention rather than assessment for diagnosis. We call for the identification of all struggling readers at an age as young as possible and, in line with the increasingly influential response to intervention model, the swift introduction of the most effective evidence-based interventions, irrespective of supposed aetiology. Yule’s prediction failed, not because science later proved his understanding of dyslexia to be wrong but because the construct continues to meet the social, psychological, political and emotional needs of multiple stakeholders. Dyslexia serves as a cultural meme (Kamhi, 2004) that is rooted in everyday discourse and that continues to resist theoretical and ethical concerns (Reason & Stothard, 2013). The meme’s potency does not depend upon the extent to which it is true, meaningful or potentially harmful. Rather, what matters is that it is seemingly ‘easy to understand, remember and communicate to others’ (Kamhi, 2004, p.106). The fact that understandings of dyslexia are often impoverished, misleading and incorrect has had little bearing on the dyslexia meme’s capacity to survive. Given the power of the label for many different groups, perhaps we should accept that there are many types of dyslexia, social constructs that are each created by, and reflect the values and agendas of, differing groups? We reject such a notion, for to accept such a position we must surely dispense with any suggestion of scientific rigour. Nevertheless, some psychologists and educationalists are likely to continue to argue that the construct, whatever its weaknesses, serves a valuable function that brings help that might not otherwise be forthcoming. We disagree and call for the wider use of approaches to reading problems that are scientifically and professionally sound. Nevertheless, it will be interesting to see whether the conclusions and recommendations of The Dyslexia Debate that the dyslexia construct is scientifically flawed and should be discontinued, prove to be any more successful than Yule’s prediction. Bishop, D.V.M. (2013) Research review: Emanuel Miller Memorial Lecture 2012 – Neuroscientific studies of intervention for language impairment in children: interpretive and methodological problems. Journal of Child Psychology & Psychiatry, 54(3), 247–259. Black, J. & Hoeft, F. (2012). Prediction of children's reading skills: Understanding the interplay among environment, brain, and behavior. In A.A. Benasich & R.H. Fitch (Eds.) Developmental dyslexia: Early precursors, neurobehavioral markers, and biological substrates (pp.191–207). Baltimore, MD: Paul H. Brookes. Boets, B., Op de Beeck, H.P., Vandermosten, M. et al. (2013). Intact but less accessible phonetic representations in adults with dyslexia. Science, 342(6163), 1251–1254.of Sciences of the United States of America, 108, 361–366. Jednoróg, K., Altarelli, I., Monzalvo, K. et al (2012). The influence of socioeconomic status on children’s brain structure. PLoS ONE, 7(8), e42486. Kamhi, A.G. (2004). A meme's eye view of speech-language pathology. Language, Speech, and Hearing Services in Schools, 35, 105–111. Lallier, M., Donnadieu, S., Berger, C. & Valdois, S. (2010). A case study of developmental phonological dyslexia: Is the attentional deficit in the perception of rapid stimuli sequences amodal? Cortex, 46, 231–241. Lockiewicz, M., Bogdanowicz, K.M. & Bogdanowicz, M. (2013). Psychological resources of adults with developmental dyslexia [Advance online publication]. Journal of Learning Disabilities. Macdonald, S. (2009). Towards a social reality of dyslexia. British Journal of Learning Disabilities, 38, 271–279. Nicolson, R. (2005). Dyslexia: Beyond the myth. The Psychologist, 18, 658–659. O'Donnell, P.S. & Miller, D.N. (2011). Identifying students with specific learning disabilities: School psychologists’ acceptability of the discrepancy model versus response to intervention. Journal of Disability Policy Studies, 22, 83–94. Olson, R.K. (2011). Genetic and environmental influences on phonological abilities and reading achievement. In S.A. Brady, D. Braze & C.A. Fowler (Eds.) Explaining individual differences in reading: Theory and evidence (pp.197–216). New York: Psychology Press. Peterson, R.L. & Pennington, B.F. (2012). Developmental dyslexia. The Lancet, 379, 1997–2007. Petrill, S.A., Hart, S.A., Harlaar, N. et al. (2010). Genetic and environmental influences on the growth of early reading skills. Journal of Child Psychology & Psychiatry, 51(6), 660–667. Ramus, F. & Szenkovits, G. (2008). What phonological deficit? Quarterly Journal of Experimental Psychology, 61, 129–141. Reason, R. & Stothard, J. (2013). Is there a place for dyslexia in educational psychology practice? Debate, 146, 8–13. Rose, J. (2009). Identifying and teaching children and young people with dyslexia and literacy difficulties (The Rose Report). Nottingham: DCSF Publications. Rosenberg, J., Pennington, B.F., Willcutt, E.G. & Olson, R.K. (2012). Gene by environment interactions influencing reading disability and the inattentive symptom dimension of attention deficit/hyperactivity disorder. Journal of Child Psychology and Psychiatry, 53(3), 243–251. Senco Forum (2005). British Journal of Special Education, 32, 165. Snowling, M.J. & Hulme, C. (2012). Annual research review: The nature and classification of reading disorders – commentary on proposals for DSM-5. Journal of Child Psychology and Psychiatry, 53, 593–607. Stanovich, K.E. (1994). Annotation: Does dyslexia exist? Journal of Child Psychology and Psychiatry, 35, 579–595.Stanovich, K.E. (2005). The future of a mistake: Will discrepancy measurement continue to make the learning disabilities field a pseudoscience? Learning Disability Quarterly, 28, 103–106. Stuebing, K.K., Fletcher, J.M., Branum-Martin, L. & Francis, D.J. (2012). Evaluation of the technical adequacy of three methods for identifying specific learning disabilities based on cognitive discrepancies. School Psychology Review, 41, 3–22. Turner, D.A. (2012). Education and neuroscience. Contemporary Social Science, 7(2), 167–179. Vellutino, F.R., Fletcher, J.M., Snowling, M.J. & Scanlon, D.M. (2004). Specific reading disability (dyslexia): what have we learned in the past four decades? Journal of Child Psychology & Psychiatry, 45, 2–40. Wadlington, E.M. & Wadlington, P.L. (2005). What educators really believe about dyslexia. Reading Improvement, 42, 16–33. Warnke, A., Schulte-Körne, G. & Ise, E. (2012). Developmental dyslexia. In M.E. Garralda & J. Raynaud (Eds.) Brain, mind, and developmental psychopathology in childhood (pp.173–198). Lanham, MD: Jason Aronson. Willcutt, E.G., Betjemann, R.S., McGrath, L.M. et al. (2010). Etiology and neuropsychology of comorbidity between RD and ADHD: The case for multiple-deficit models. Cortex, 46, 1345–1361. Yule, W. (1976). Dyslexia. Psychological Medicine, 6, 165–167. Bosse, M.L., Tainturier, M.J. & Valdois, S. (2007). Developmental dyslexia: The visual attention span deficit hypothesis. Cognition, 104, 198–230. Burden, R. (2008). Is dyslexia necessarily associated with negative feelings of self-worth? A review and implications for future research. Dyslexia, 14, 188–196. Christopher, M.E., Miyake, A., Keenan, J.M. et al. (2012). Predicting word reading and comprehension with executive function and speed measures across development: A latent variable analysis. Journal of Experimental Psychology: General, 141(3), 470–488. Collis, N.L., Kohnen, S. & Kinoshita, S. (2013). The role of visual spatial attention in adult developmental dyslexia. Quarterly Journal of Experimental Psychology, 66(2), 245–260. Davis, R.D. (1997). The gift of dyslexia. London: Souvenir Press. Dyslexia Action (2005). The incidence of hidden disabilities in the prison population. Egham: Author. Elliott, J.G. & Grigorenko, E.L. (2014). The dyslexia debate. New York: Cambridge University Press. Franceschini, S., Gori, S., Ruffino, M. et al. (2012). A causal link between visual spatial attention and reading acquisition. Current Biology, 22, 814–819. Friend, A., DeFries, J.C. & Olson, R.K. (2008). Parental education moderates genetic influences on reading disability. Psychological Science, 19, 1–7. Grant, P.E. (2012). Evolution of pediatric neuroimaging and application of cutting-edge techniques. In A.A. Benasich & R.H. Fitch (Eds.) Developmental dyslexia: Early precursors, neurobehavioral markers, and biological substrates (pp.227–240). Baltimore, MD: Paul H. Brookes. Hari, R. & Renvall, H. (2001). Impaired processing of rapid stimulus sequences in dyslexia. Trends in Cognitive Sciences, 5, 525–532. Ho, A. (2004). To be labelled, or not to be labelled: that is the question. British Journal of Learning Disabilities, 32, 86–92.